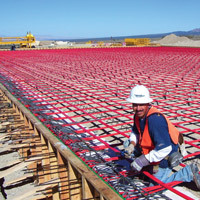 We’re concrete reinforcement experts, mitigating concrete and reinforcing costs and soil movement complications for a superior solution in custom construction. 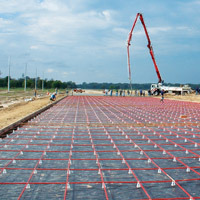 With our innovative staff, local market knowledge and longstanding relationships with leading engineers, we’re the right choice to help you envision a unique solution for your complex, custom designs and projects of any size and scale. We’re your trusted partner – equipped with the resources and capability to discuss specific challenges and to enhance constructability, helping your vision become a reality. 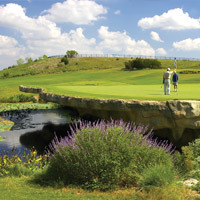 Cantilevered post-tension slab on a course laid out by PGA Tour Design architects at a premier golf club. Drag racing burnout strip – 100-foot wide concrete pad, 430 feet long from the burnout box to the asphalt – at an International Hot Rod Association (IHRA)-sanctioned 3500-foot raceway track. Tire-changing concrete pad designed for high-production mining trucks and heavy-duty construction applications. Caterpillar 797 trucks are built for the largest haul, highest capacity payload, carrying weight up to approximately 400 short tons.